SUWANEE, Ga., Aug. 9, 2018 /PRNewswire/ -- ARRIS International plc (NASDAQ: ARRS) today announced that its VAP4641 Wireless Extender is the first product to receive Wi-Fi EasyMesh™ certification from the Wi-Fi Alliance. As the newest extender in ARRIS's HomeAssure™ whole-home Wi-Fi® family, the VAP4641 is one of the most powerful, wall-plug mounted, Wi-Fi extenders available. Featuring 4x4 antennas and 802.11ac Wi-Fi capability, the VAP4641 leverages Wi-Fi EasyMesh to extend Gigabit speeds over greater distances, when paired with other Wi-Fi EasyMesh certified devices. "Our home Wi-Fi vision is to provide ubiquitous coverage from a single network," said Larry Robinson, President, Customer Premises Equipment at ARRIS. "We're proud to continue our contributions to the Wi-Fi Alliance's multi-AP specifications and Wi-Fi EasyMesh program to help service providers bring new innovations like the VAP4641 Wireless Extender to consumers. We're making it easier for consumers to install, configure and manage their home network, while delivering Gigabit speeds." ARRIS's HomeAssure whole-home Wi-Fi portfolio of gateways and extenders delivers on the vision of ubiquitous coverage contributing the intelligence and connectivity required in complex and varied home environments. These devices help resolve network issues before they impact users, empower consumers to optimize their home network, and enable service providers to deliver a premier Wi-Fi experience. 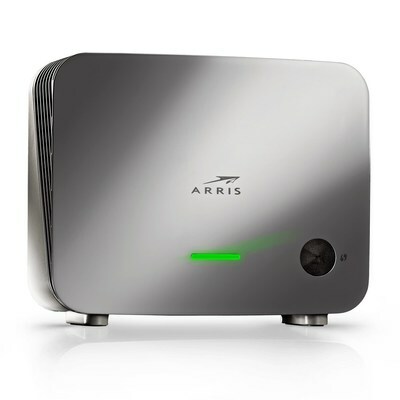 ARRIS, the ARRIS logo and HomeAssure are trademarks of ARRIS International plc and/or its affiliates. Wi-Fi and Wi-Fi CERTIFIED EasyMesh are trademarks of Wi-Fi Alliance. All other marks are the property of their respective owners. © 2018 ARRIS Enterprises LLC. All rights reserved.